Copying an idea from other geneabloggers I am listing, for those who may be interested, my most popular posts of 2011. My personal favourite is the story of my grandmother's first husband, John Bertram Chatfield. On New Year's Eve 2010 I posted my (genealogy) plans for 2011 which I will paste below. As I can't remember what I had proposed to do in 2011 there will be some revelations for me as I read through and comment on the list. * Put the living before the dead - when family members visit make them the focus of my attention; I think I've done pretty well here. As well as spending lots of time with the grandkids I have taken or planned trips with my children and their families. * Use web 2.0 technologies to promote genealogy in Australia, eg Blogger, Twitter,GenealogyWise Australian Group - Special emphasis on using other people's blogs for conversation. Have added Genealogy+ to my stable of tools, have a morning routine for connecting with my Android tablet. * Be patient with fellow researchers who do not share my enthusiasm for technology; Practising this when I visit the two societies I joined this year.Coming to the realisation that not everyone shares my enthusiasm for technology. * Get organised - Try harder. Getting there. My fling it in the folder system is working well. * Become a more active member of The Society of Australian Genealogists; Presented a couple of workshops for them that I think went well but haven't been invited back - Did I blot my copybook? Would attend more of their talks but have to choose wisely as, at $20 a pop, the cost mounts quickly. 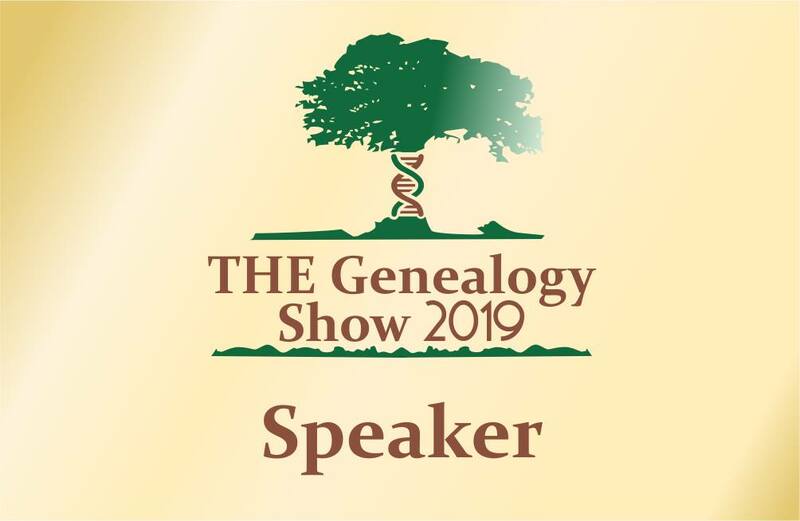 * Attend and Present Genealogy workshops/lectures; Retirement has given me lots of time to work on my Continuing Genealogical Development - have done well in this area. Attending Rootstech was the highlight of the year. * Prepare for the 2012 National Year of Reading - Promote this event to genealogists, Read for genealogy and add to personal genealogy library. Have only tweeted a couple of times about NYR - need to blog about it. Have added a number of titles to my genealogy library - haven't read all of them yet. I certainly strayed from my plans in 2011 but, as genealogy is something I do for pleasure, I am not going to castigate myself severely. I am one very satisfied amateur genealogist. I figure that most of the goals (except getting organised but it could fit into learning) I wish to achieve fit into these three categories. My chicken and egg problem was that I couldn't decide which should come first so I resorted to my library training and selected good old alphabetical order. Connect - Learn - Share - That is what I will do in 2012. I love cruising. Unpacking my bags once, travelling overnight to a new port each day and being fed and watered each day without having to consider that infernal travel issue of "Where will we eat tonight?" Some of my cruising experiences have been enhanced by the personal enrichment activities on offer. I learnt the ins and outs of Photoshop elements on a cruise up the Eastern Coast of the US and Canada and gained great photography tips from Peter Simon on a cruise round the Caribbean. Sadly I have not yet struck a genealogy cruise that fits in with my requirements and schedule. While I was on my most recent cruise around the Hawaiian Islands details were announced for the 3rd Unlock the Past History & Genealogy Cruise in February 2013. While I'd like to join this cruise I don't think I can make it as I'll either be at Rootstech 2013 (if there is one) or on a South American cruise that I am trying to convince Mr Geniaus that we need to take. I had to miss the 2nd Unlock the Past cruise due to my Hawaiian excursion. The 9th Annual Legacy Genealogy Cruise that is in two parts, to be held in May 2012, will visit Norway, France, Ireland, England, Scotland, and Denmark is my pick so far for 2012. It travels to some places in Norway I have never visited, visits some favourite ones and does nothave too many days at sea to bore the sox off Mr Geniaus. Unfortunately I cannot justify purchasing the international airfares to join this cruise so soon after returning from Rootstech in March. This March genealogy cruise from Bombay to Luxor has appeal to me - I do hope this company offers more genealogy cruises in the future as I like travelling on smaller ships rather than the monsters that are used for some genealogy cruises. Perhaps the Wholly Genes cruise that is usually held later in the year will suit me. I do wish that announcements for these events were made earlier so that people like me could watch out and take advantage of airfare specials to the Northern Hemisphere. Some day my genealogy cruise will come! Geniaus slept through her alarm one morning at Rootstech 2011 and so was late for an early morning Official Bloggers' breakfast and briefing. I have learnt my lesson and, as an Official Blogger again in 2012, will be arriving in Salt Lake City a few days prior to the Conference so that the effects of cross-Pacific jetlag can wear off. In just four weeks I will be leaving Sydney for my trek to Salt Lake City. I look forward to meeting up with my fellow Official Bloggers for 2012 most of whom return from 2011with the addition of a couple of new faces for 2012. You can meet them here. Please drop by the Bloggers Cage (or whatever they call it) and say hello if you are at Rootstech. There has been much discussion on the TMGSydney Yahoo Group about the recent release of Version 8.0 of The Master Genealogist (TMG) software. I am in a quandary. Should I upgrade? I have been a loyal TMG user for many years. About ten years ago I moved over to TMG after trying a couple of other software packages and have been a reasonably happy user. I do not, however, use many of its advanced features and have not made many personal modifications to the package out of the box. I love Darrin Lythgoe's The Next Generation of Genealogy Sitebuilding that I use to publish my family tree on the web and wish I had the skills to use this as my primary database. As I read more and more from genealogists both in Australia and abroad I have become aware that there are a number of reasonable alternatives to TMG. Shelley from Twigs of Yore has moved to Family Historian, an award winning product from the UK, and appears to be very happy with that product, while Kerry Farmer who co-wrote "Which Genealogy Program?" is the chairperson of The Sydney TMG Group. The three most popular programs in the US appear to be Family Tree Maker, Legacy and Rootsmagic with Family Historian ahead of TMG in the Top 10 list. Among my geneablogging contacts there are evangelists for each of these programs. "We greatly appreciate all the recent comments and concerns related to book vendors being present at RootsTech. We’ve been listening. One of our top goals has been to help introduce a very different kind of family history conference, which certainly requires a balancing act—bringing technologists together with genealogists to inspire important technology solutions for the industry. 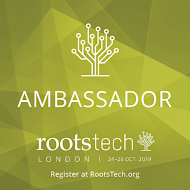 It has become clear that there is indeed demand from the community to have book vendors at RootsTech, and we are pleased to extend book vendors an invitation to exhibit at the conference. Thanks again to the community for all the great feedback. We look forward to seeing you in February!" TMG v8 has been released! Columbia, Maryland - 21 December 2011 -Wholly Genes Software announces a major new release of its popular family history project manager, The Master Genealogist. The software, known by its users as "TMG," is favored by novice and expert researchers alike because of its extreme flexibility, extensive documentation features, and the ability to transform dry family data into impressive charts, forms, and narrative reports. I have returned from a family jaunt to Hawaii with Mr Geniaus (BobBob), our daughter, son-in-law and three grandchildren. We had a wonderful time sharing experiences and creating many special memories with the youngsters. Hopefully as they grow older they will have fond memories of their first swim at Waikiki, travelling in the back seat of a number of Dodge Caravans around the Hawaiian Islands, cruising on the Pride of America, watching volcanic lava flowing into the sea from our balcony, seeing swordfish chase our ship, BobBob combing their hair at every opportunity, numerous bargain hunting jaunts to Ala Moana, Macys, Nordstrom Rack and Ross Stores, posing for many photos for Gummy(me), fine dining at American icons The Cheesecake Factory, Bubba Gumps, Benihana and The California Pizza Kitchen and spending hours on the waterslides at The Hilton Hawaiian Village. Before setting off on our journey I prepared a few blog posts for publication during my time away and I managed to write one post from Hawaii. Due to lack of new posts the statistics for visits to my blog during December are about 1/3 the number for the two preceding months but are a result of not neglecting the living. I am pleased that I had over 2,000 visits during my absence. Having an opportunity to share such wonderful experiences with the offspring is treasured. We genealogists must remember the importance of emerging from the past and grabbing opportunities to concentrate on the living. 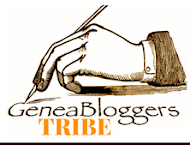 Great news for genealogists all over the world on the Legacy Family Tree Blog. "The first-ever Genealogy Idol competition will take place during the RootsTech conference on Thursday, February 2, 2012 in Salt Lake City, Utah. Anyone can participate regardless of where they live or whether they attend the conference." 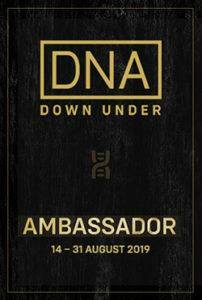 Come on, Aussies, Come on - How about showing the world what great genies we have downunder by registering your interest to take part in this activity for the chance to win a a Flip-Pal Scanner. Full details can be found here on the Legacy News Blog. One of my old workmates posted this video on Facebook. Those of my readers who use Social Media should enjoy it. Advent Calendar of Christmas Memories 2010 - December 15 - The Holiday Happenings! With the madness of current Holiday Happenings I haven't had time for an Advent Calendar post for a few days. 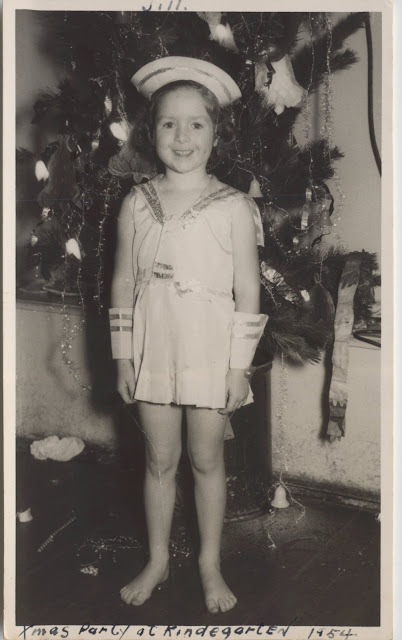 I didn't just want to just write about the preparations and functions we attend today but wanted something from the past that typifies what we do in Australia over the holidays. Fortuitously a link to a pertinent video arrived on my RSS feeds this morning. As our weather is hot and the long school holidays coincide with Christmas many Australian families flock to the beach for annual holidays. I have previously blogged about our journeys to Ettalong, NSW. As a teenager I lived a afew hundred yards from Coogee Beach in Sydney, I spent most of my school holidays swimming and surfing with friends and getting burnt to a crisp. The delightful video, Summertime, that I can't seem to embed in this post has been prepared from a series of glass plate negatives and set to music. The photos tell a story of summer on Coogee Beach around 1900. Although the imaages are old, the buidings have disappeared and the beachfront promenade has been updated the people enjoying the beach today still engage in the same activities that people did over 100 years ago. Do you know Ron Dunn? Are you in the Grip of Google?